John Walker is a Visiting Lecturer in Law at Yale Law School. His subjects of interest are constitutional law, federal courts, and legal process. John Walker is a visiting Lecturer in Law at Yale Law School. His subjects of interest are constitutional law, federal courts and legal process. 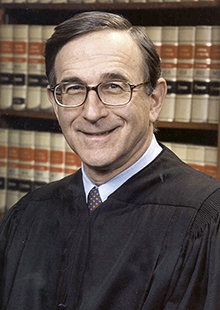 He is a Senior Circuit Judge in the U.S. Court of Appeals for the Second Circuit. He has been a District Judge, a Circuit Judge, and Chief Judge of the Court of Appeals. Judge Walker received a B.A. from Yale and a J.D. from the University of Michigan. Judge Walker is also active in assisting foreign judiciaries.